Abbey Dental Practice welcomes referrals for private orthodontic treatment for both adults and children. 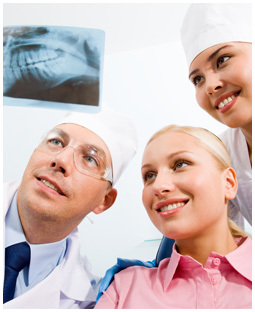 We are a welcoming team treating patients in a warm and friendly environment. We are dedicated to maintaining the highest standards and accommodating individual needs. All of our Clinicians and Dental Care Professionals have been enhanced CRB checked and are registered with the General Dental Council. If you are considering referring to us here are a few reasons why you should. You can refer patients by downloading and printing a referral form and emailing the form to our NHS email address (abbey.dentalbarking@nhs.net ). Please only email us using your NHS.net account.